Back in 2001 Max SoHa, short for South of Harlem, was one of the first restaurants in the ongoing transformation of the food scene in the adjoining Morningside Heights and South Harlem. Like its older sister restaurant Max in the East Village, Max SoHa is a small, rustic, unpretentious, neighborhood Italian restaurant. It has a small, modestly priced menu, a good wine list, some outdoor cafe seating and overall a friendly low key vibe. This is a great restaurant for a casual mid-week dinner out. 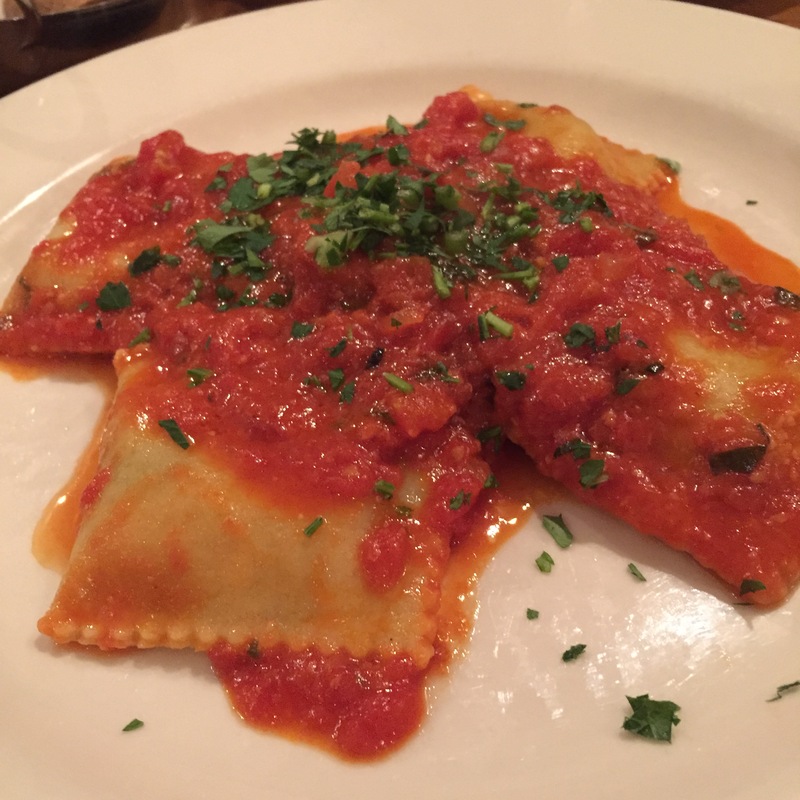 The main menu does not include any ravioli, but Max SoHa has a daily, homemade ravioli listed on the chalk board. The Dumplings: The night I was there the ravioli special was a ricotta and eggplant ravioli with red sauce. I was hoping that the eggplant was grilled and would provide some smokey flavor to the ricotta cheese, but I couldn’t really taste the eggplant contributing to the filling. So these ravioli were essentially just ricotta filled. The ravioli were cooked absolutely perfectly al dente, some of the most expertly cooked pasta I have eaten out in a restaurant. For my taste, the red sauce was a little too sweet. The Location: Max SoHa is on the corner of Amsterdam Ave and 123rd Street which is on the northern edge of Columbia University in the Morningside Heights neighborhood, just south of Harlem. This entry was posted in Ravioli. Bookmark the permalink.